The most obvious difference between these species is in the size and structure of the leaves, with Eutaxia parvifolia having a distinct petiole (stalk), highly variable sized leaves (length) on the same plant and at least one noticeable vein on the underside. 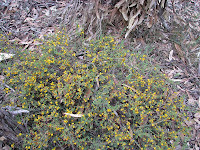 Eutaxia microphylla leaves are either sessile (no stalk) or have a very short petiole to 0.2 mm, more consistently smaller sized leaves 2.3-4 mm long, plus have no visible veins. 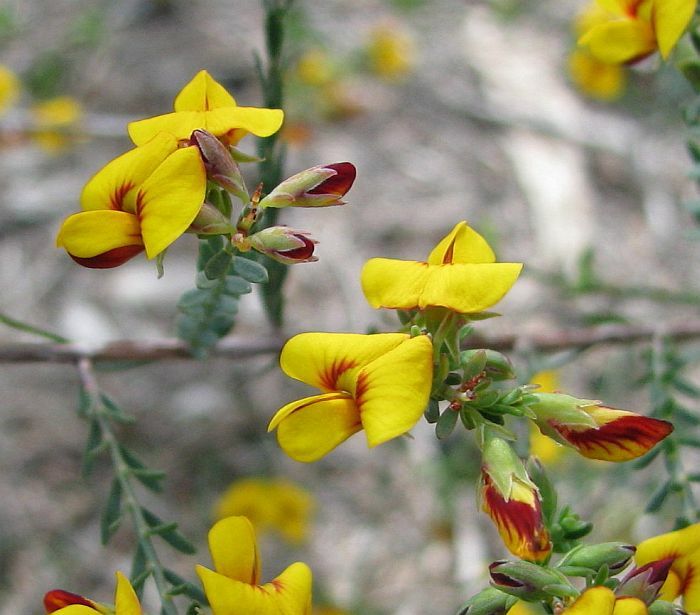 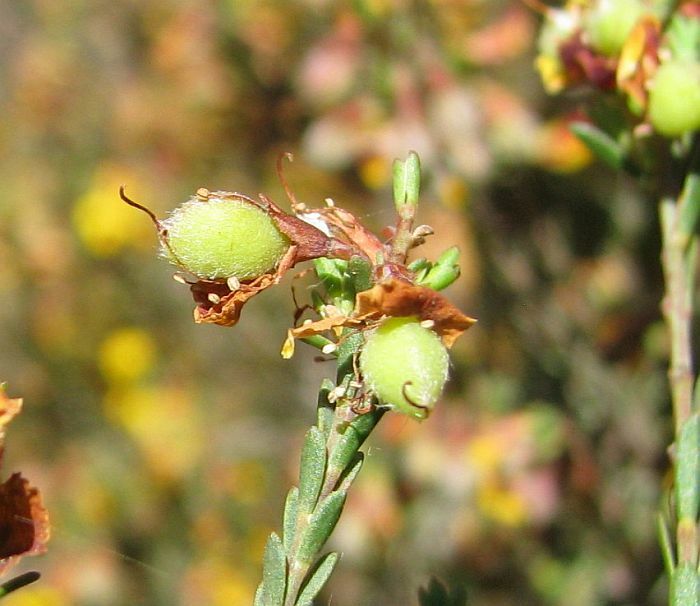 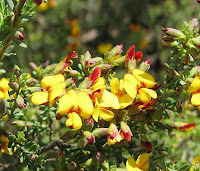 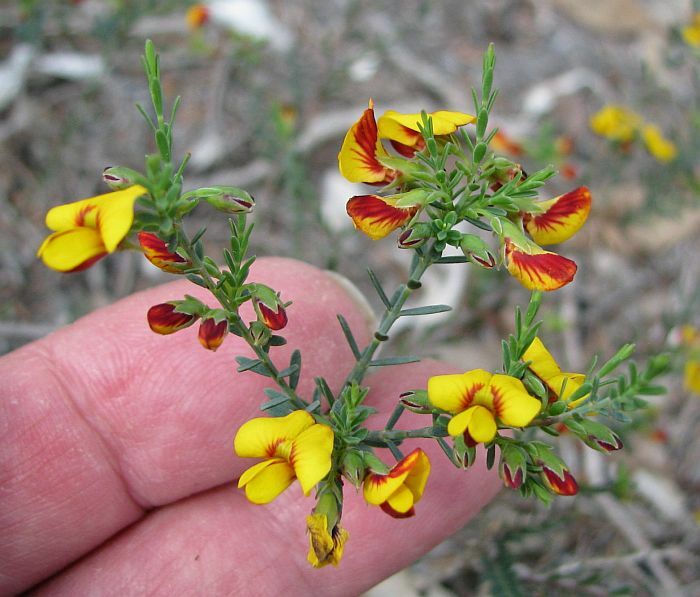 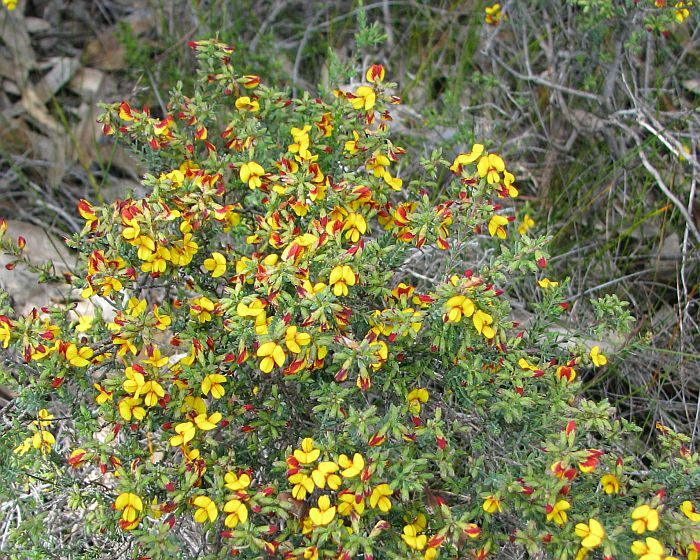 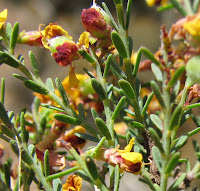 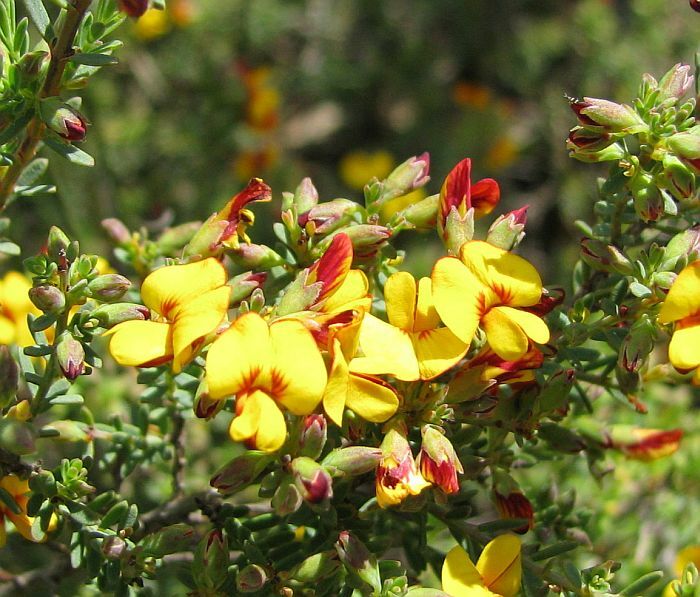 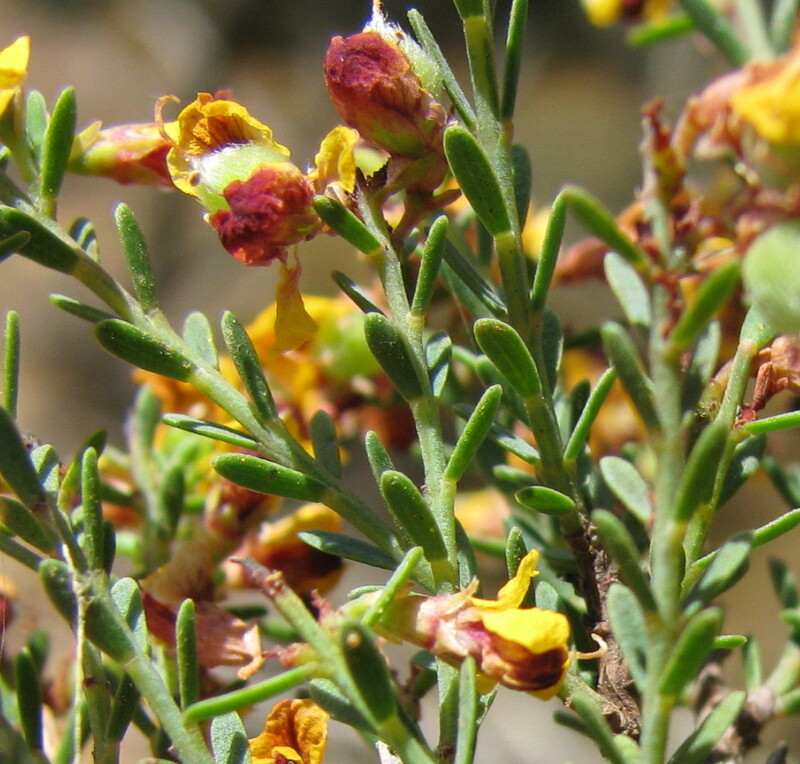 The distribution of Eutaxia parvifolia is from the north of Perth to Cape Arid (east of Esperance), then spreading in scattered colonies to the Albany region, where common to the west of the town. 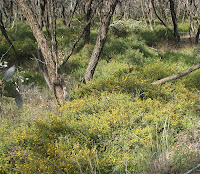 Eutaxia parvifolia is sparsely scattered to the east of Esperance, but where it does occur it can be in considerable numbers, in one instance forming an extensive carpet of around 100 metres/yards square and to 60 cm (24”) in height. Locally this species favourers sandy loams over clay, where there is slow sub-surface water movement, which tend to be around rarely flooding Yate Swamps (Eucalyptus occidentalis). 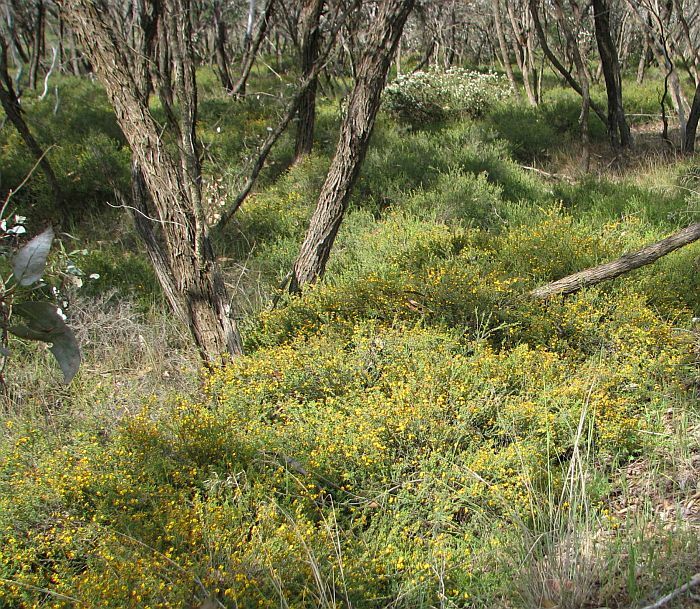 These environments are mostly within 50 km (30 miles) of the coast. 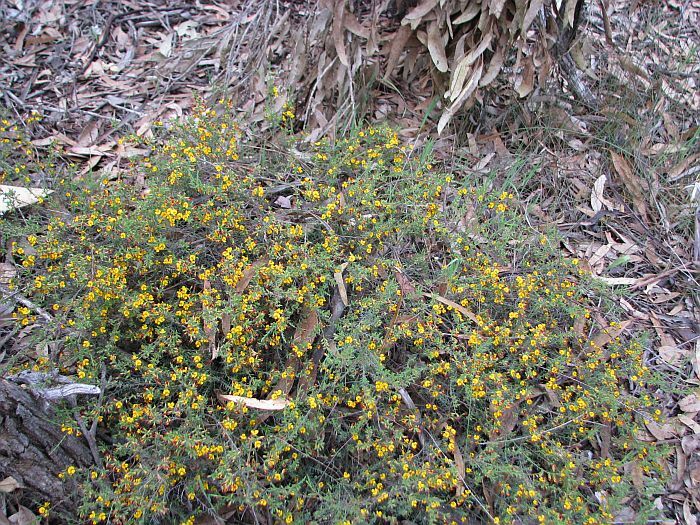 Further inland (over 100 km) there is another similar looking species called Eutaxia actinophylla, but the leaves of this species are in whorls of three, instead of paired as with E. parvifolia. 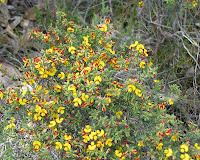 Like many peaflowers Eutaxia parvifolia is visually appealing, when their bright red/yellow flowers are produced in great profusion between August and December, although locally with our lower rainfall and warmer conditions, flowers have usually finished by November.